Earn 11499 loyalty points when you order this item. 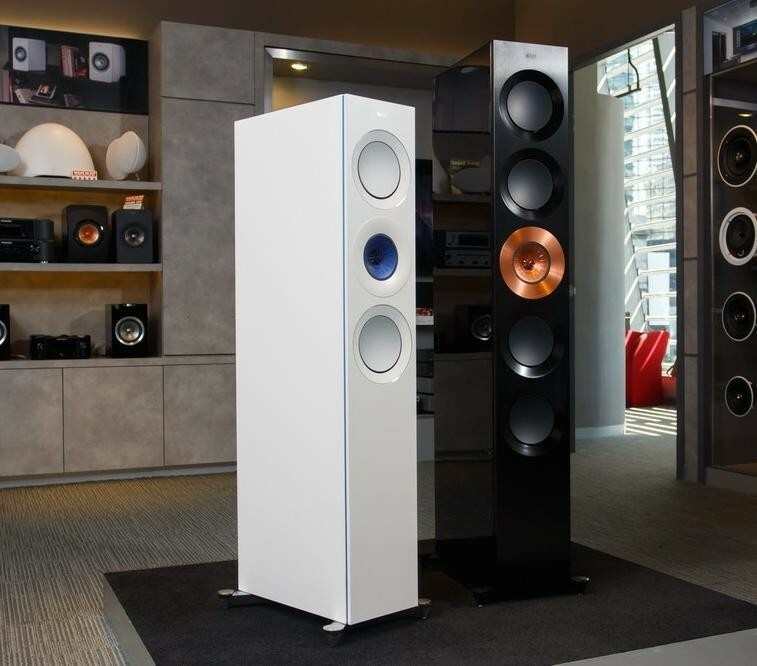 The Foundry Edition of the popular KEF Reference 5 comprises two fantastic colours with their origin steeped in heritage. The KEF Reference 5 is the flagship floorstanding speaker from KEF's stunning new Reference series, and can only be described as magnificent. 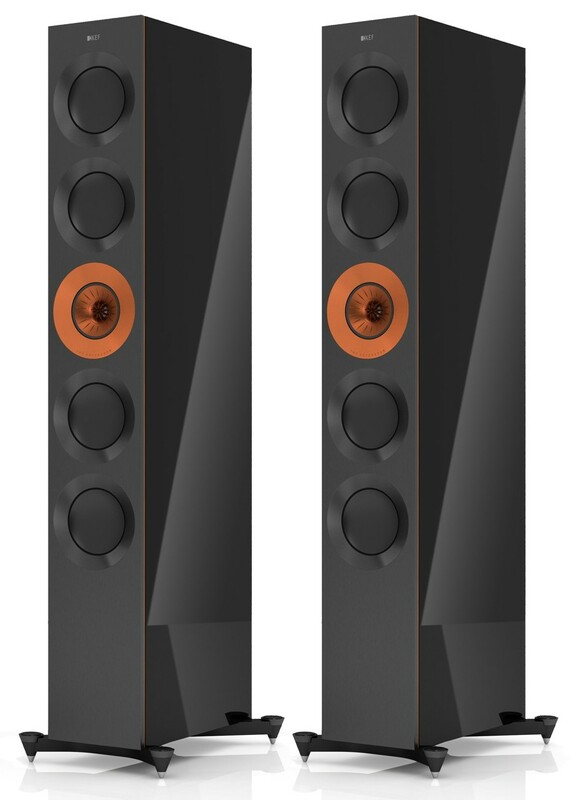 KEF's passion for sonic perfection is embodied in these tall three-way floorstanders. Soundstage is so wide and tangible that you will be closer to your recordings than you ever thought possible, and you will be immersed in your movies more than ever before. The Reference 5 utilise a staggering four 6.5 inch bass drivers, which are powerful and extremely linear. These are configured with two above, and two below KEF's latest 5 inch Uni-Q array, which uses a 1 inch vented aluminium dome tweeter at the centre. Thanks to the four low frequency drivers, lows and bass frequencies are dynamic, rich and thunderous and reproduced with consummate agility and control. This fluidly and effortlessly integrates with the Uni-Q driver array, creating an enveloping and immersive soundfield of accuracy, clarity and dynamic depth. At the heart of The Reference is a stunning new iteration of KEF’s landmark innovation: the Uni-Q point source MF/HF driver array. With a state-of-the-art 25mm (1in.) vented aluminium dome tweeter at the exact acoustic centre of a highly sophisticated 125mm (5in.) midrange driver, both act as a single source that floods the listening space evenly with a flawless natural soundfield, no matter where you sit. Capturing all the nuances of the human voice, whether whispered, spoken or sung, it sounds as if the person were right there with you in the room. Clean, rich and articulate bass grounds your enjoyment of stereo or multi-channel sound, and like everything else about The Reference, KEF’s new 165mm (6.5 inch) LF driver is in a class apart. With a massive vented magnet assembly and a large aluminium wire voice coil driving an exceptionally light, stiff and strong alloy cone, the dynamics and power handling are superb. Played loud or soft, in delicate passages or for full-on bass effects, the combination of advanced materials and clever engineering delivers deeply rewarding lows that blend seamlessly with Uni-Q’s immaculate midrange and treble response. The Reference has innovative adjustable ports for fine-tuning the bass output to your personal taste and the room characteristics. The flexible port technology pioneered for the multi-award winning LS50 is used to reduce midrange port resonance, with the flare and profile of each port calculated by computational fluid dynamics to avoid turbulent air noise that might colour the sound. 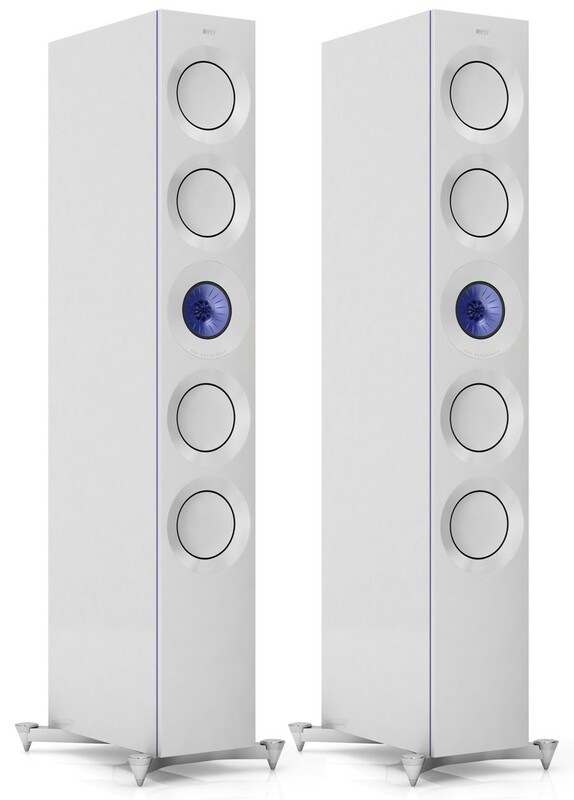 KEF engineers computer-modelled the ideal crossover networks before exhaustively auditioning every high grade component, individually and together, to select those with the lowest distortion and the smoothest response. Perfectionism takes time, but the difference is plain to hear. Nothing is overlooked - Reference crossovers are even mounted on separate boards and decoupled from the cabinet walls to minimise vibration and crosstalk. Finished by hand in pair-matched wood veneers to complement the composite front baffle, the shape and bracing geometry of the cabinets are computer-optimised to minimise secondary radiation from the cabinet walls and distortion from standing waves. With constrained layer damping to absorb residual vibrations, they’re engineered to eliminate any panel resonance, stray reflections or box colouration effects that would compromise the purity of the sound. It takes but a few notes played to realize these are superb loudspeakers, in every parameter imaginable. But particularly the difficult to "measure" sense of sheer, utter, honest musicality - believability. Once you hear (I'm suspecting ANY current) Reference series, you'll discover so many other loudspeakers don't even remotel;y compare. 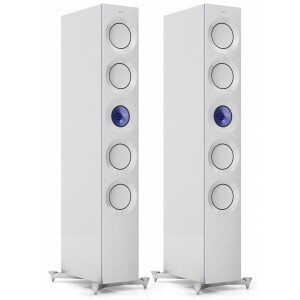 KEF Reference perform at an exalted, indeed reference level. Simply sensational! Nicely done, KEF.